When your garage door is screeching or gets stuck in the wrong position, you need help. It might be tempting to despair, but don’t! If you live in Lehi, Powell Quality Door Services is here to help. Our company is built around helping home and business owners keep their garage doors working well. When it’s time to upgrade, we help you find the ideal replacement door. Is Your Lehi Garage Ready for a New Look? How do you know it’s time for garage door repair or replacement? It can be tough. Sometimes it’s clear that your door is too far gone, such as if a car has backed into it or it has rusted through. In other cases, it’s not as easy. Could a spring replacement fix the problem? We can help you make the right decision. There’s a good reason “quality” is in our name. It’s what we do, and it’s who we are. 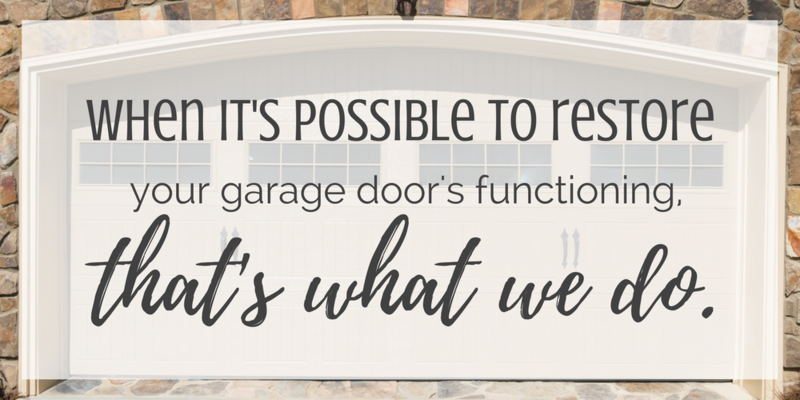 When it’s at all possible to restore your garage door’s appearance and function, that’s what we do. And when we make repairs, we expect them to last. We use quality parts, from belts to rollers, and we take pride in our high-level workmanship and our attention to detail. It’s what results in that smooth, quiet garage door operation you want. When we’re helping home and business owners choose garage doors, we always take design into account. An attractive garage door can boost your home’s curb appeal. We want your door to be a worthwhile investment and truly feel like an upgrade. That being said, a garage door’s functionality is always the primary factor to consider. We install Wi-Fi-enabled garage door openers that allow you to control the door from afar. Garage doors have come a long way from manual pull cords. Your Lehi home’s or business’ garage should be an easy place to park your car, and a new door and opener system can help. Powell Quality Door Services puts your needs first. Once you call, we take the responsibility of seeing your garage door repaired or replaced seriously — it’s our top priority. We also offer recommendations, troubleshooting advice and estimates over the phone. We service homes and commercial locations in and around Lehi, so give us a call today. From residential garage door replacement to commercial garage door repair and every project in between, trust Powell Quality Doors for the best service in Utah.